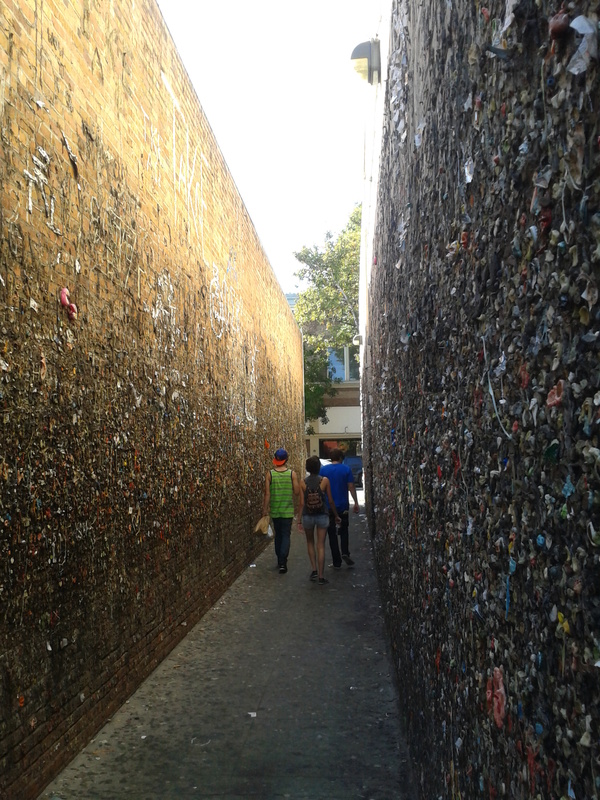 Yep, it’s an alley spattered with chewed gum, the kind of art you could only find in a college town. Some have even spelled out a favorite credo using a unique color of choice or gum hue. This is just the kind of fabulousness you see in SLO. This entry was posted on Friday, May 10th, 2013 at 7:09 PM	and posted in San Luis Obispo. You can follow any responses to this entry through the RSS 2.0 feed.